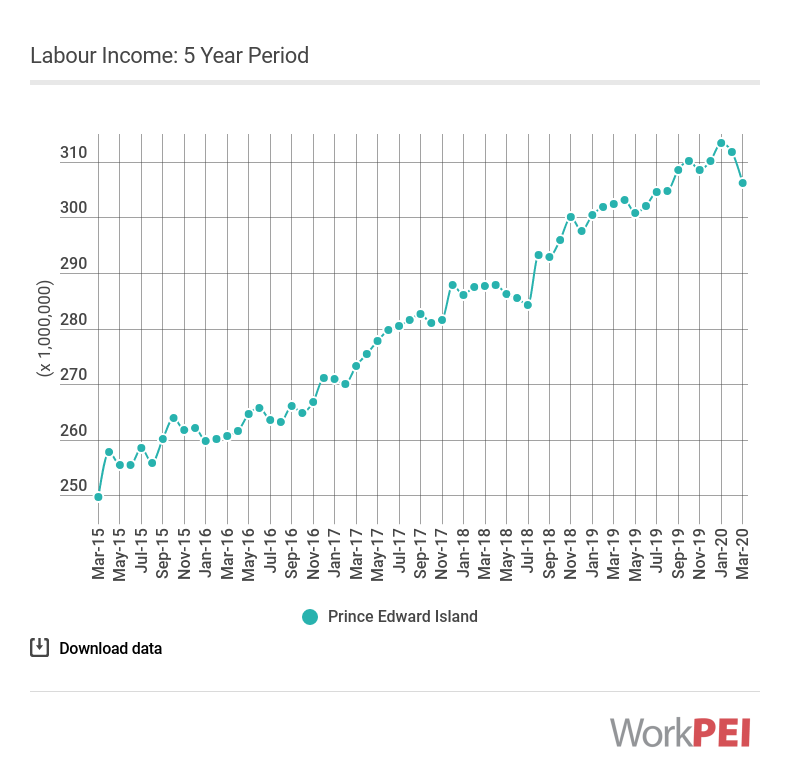 In September 2018, labour income in Prince Edward Island totaled $290.1 million, 3.4% higher than the same month one year ago. 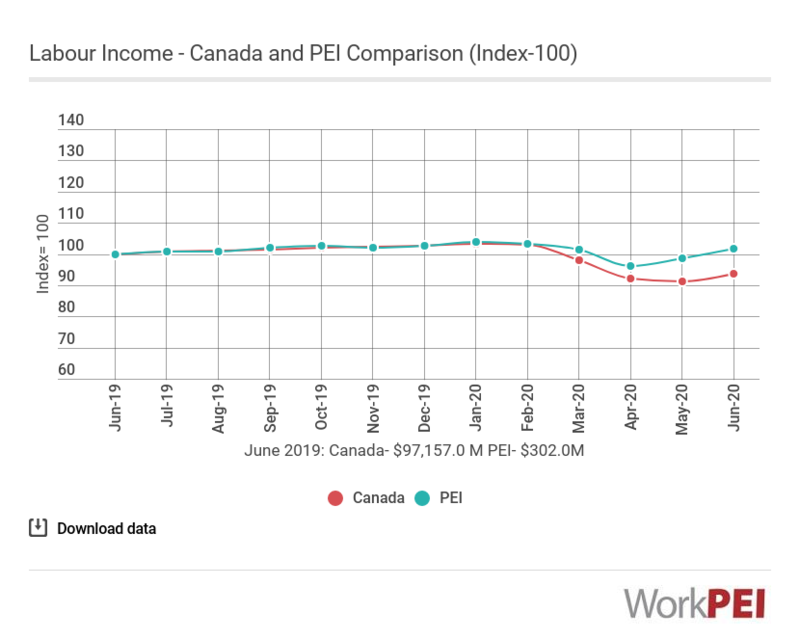 On a year to date total basis, labour income has increased 3.8%. Nationally, wages and salaries totaled $93,689 million in September, an increase of 3.3% over the same period last year. Adapted from Statistics Canada, Table 36-10-0205-01 (Wages, salaries and employers’ social contributions). This does not constitute an endorsement by Statistics Canada of this product. 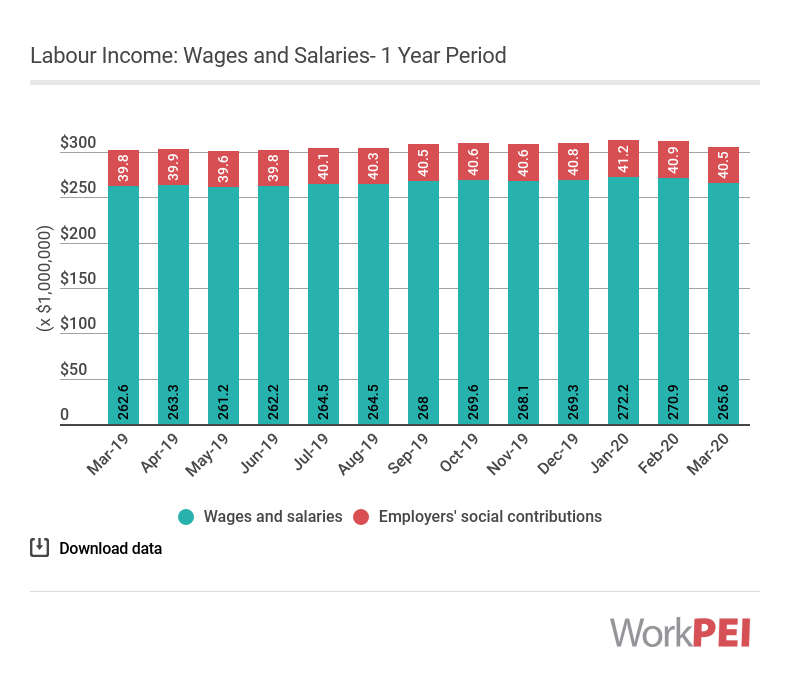 Wages and salaries is an aggregate of many types of payments made to employees. In addition to regular remuneration, it includes directors’ fees, bonuses, commissions, gratuities, income in kind, taxable allowances, retroactive wage payments and stock options. Wages and salaries are estimated on a “gross” basis, that is, prior to deductions for employees’ contributions to income tax, employment insurance, pension funds etc.